Do we have a good one for you today – the impressive ZTE Nubia Z9 goes up against the rugged Samsung Galaxy S6 Active. Although the Nubia Z9 comes in three variations, we are looking at the “Classic” model that aligns itself more with the S6 Active – 3GB of RAM and 32GB of internal storage. How does this new flagship newcomer from ZTE stack up against the new S6 Active when it comes to build quality and specifications? There are some commonalities between these two flagship devices – for instance, the displays are almost the same size with the Nubia Z9 coming in at 5.2-inches and the S6 Active at 5.1-inches. They both use a 64-bit octa-core processors, although different manufacturers. Both devices have 3GB of RAM and offer 32GB of internal storage and neither one can be expanded. The Nubia Z9 and S6 Active both us a 16MP sensor for their main cameras and both use an LED flash, autofocus and OIS. They both have the usual Wi-Fi, Bluetooth 4.1, GPS, NFC, a built-in IR Blaster and a microUSB port for charging and data transfer. Both devices have a non-removable battery and they both have a rapid charge feature. Please take a deliberate look at the detailed Specifications Comparison chart below and here you will see just how these two great devices stack up against one another – click on the “View Full Comparison” link at the end of the chart to expand the details. After that, we will look at each individual device in greater detail and point out some of its pros and cons. From all of this information we will try to determine the winner based on specs and execution of design and functions. The new Nubia Z9 by ZTE is nearly a bezel-free device on the right and left sides and uses 2.5D glass that wraps slightly around allowing the display to go all the way to the edge. It has a full metal chassis although the backing is plastic that looks and feels much like glass. The Nubia Z9 comes in three varieties – the Classic with 3GB of RAM and 32GB of storage, the Elite with 4GB of RAM and 64GB of storage and the Exclusive that adds a fingerprint sensor to the Elite model. As I said earlier…we will look at the Classic edition as it compares favorably with the S6 Active specs. The Nubia Z9 sports a 5.2-inch IPS LCD display with a FHD resolution of 1920 x 1080 pixels and 424 PPI versus the 5.1-inch QHD display and 576 PPI on the S6 Active. The Z9 uses ZTE’s new Frame Interaction Technology (FiT) that allows you to make certain gestures along the sides of the display that will enable pre-programmed actions. These actions can range from taking a screenshot, taking a picture or turning the display on or off. It makes the entire device look beautiful…almost like a miniature Samsung Galaxy S6 Edge, only not as pronounced and there is no actual visual function, simply a touching option. The infamous 64-bit Qualcomm Snapdragon 810 octa-core processor provides the Z9’s processing power with four cores clocked at 1.5GHz and four cores clocked at 2.0GHz…this compares very nicely with the 64-bit Exynos 7420 octa-core processor in the S6 Active. They both come with 3GB of RAM and 32GB of internal storage – although it must be pointed out that the Samsung processor, RAM and flash memory are faster technologies than used in the Nubia Z9. The camera used in the S6 Active is rated as one of the best cameras on a smartphone, but the Nubia Z9 is no slouch in the camera area. It too has a 16MP sensor, OIS, LED Flash and autofocus on the main shooter, although the S6 Active does have Live HDR shoots and a wider aperture lens. The Nubia N9 has a large 8MP FFC for great selfies and video chatting with an 80-degree wide-angle lens, while the S6 Active has a 5MP lens with wide-angle and an f/1.9 aperture – and both devices have sophisticated software for their respective cameras. The Nubia Z9 has a 2900mAh battery versus the 3500mAh battery in the S6 Active, so both should get you through a full day, with the S6 Active shooting for two days. It uses an embedded AK4961 professional music chip for audiophile sound. The Classic Edition will cost you about $565 and $645 for the Elite edition and $725 for the Exclusive. The Z9 will operate on the GSM / CDMA / HSPA / LTE technologies and uses LTE bands 1(2100), 3(1800), 7(2600), 38(2600), 39(1900), 40(2300), 41(2500), so make sure you check with your carrier. 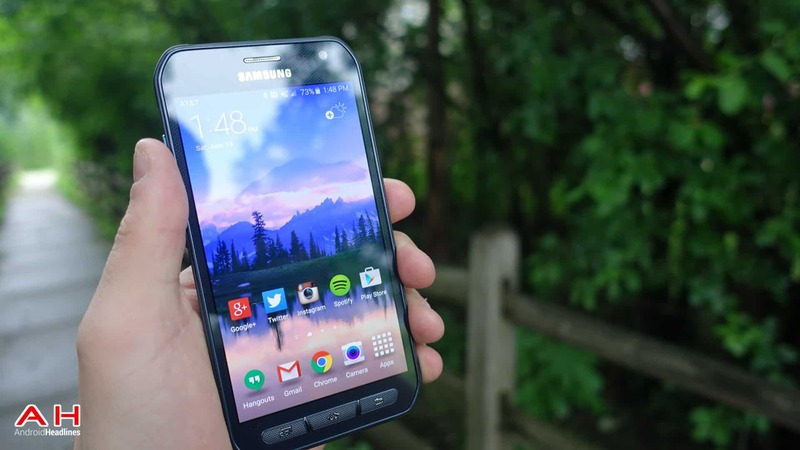 The Galaxy S6 Active is much like a dainty Galaxy S6 on steroids. The glass and metal look are gone and in its place is a camo covering…while it is not the prettiest looking covering, it will protect your device from falls and most damage. The camo comes in three colors – blue, white and gray…the nicest looking in my opinion. Most of the specs came over from the S6, but some changes were made. For instance, three physical buttons replace the fingerprint sensor and capacitive buttons. There are some added benefits, such as IP68 certification for dust and water resistance and they added a MIL-STD-910G certification, which means it is resistant to salt, dust, humidity, rain, vibration, solar radiation, transport and is thermal shock resistant. The S6 Active also has an extra programmable button on the left side just above the volume rocker that defaults to the Samsung Activity app, but you could reset it to be a camera button or to perform one of many other duties. The Activity app has the camper or hiker in mind and immediately brings up a menu with a flashlight button, the weather, compass and other features an outdoors person might need to use. The Galaxy S6 Active has the same display of the normal Galaxy S6, a 5.1-inch QHD Super AMOLED display with a resolution of 2560 x 1440 pixels and about 576 PPI – this compares to the 5.2-inch FHD IPS display with 424 PPI on the Nubia Z9. The S6 Active also uses the same processor found in the Galaxy S6 – a 64-bit Exynos 7420 processor…the first one to use 14nm technology. It is an octa-core processor with four cores clocked at 1.5GHz and four cores clocked at 2.1GHz. This technology stacks very nicely against the Qualcomm 64-bit Snapdragon 810 octa-core processor. Both devices have 3GB of RAM, but the S6 Active uses the faster DDR4 RAM. The S6 Active and the Nubia Z9 both use 32GB of internal memory, but the S6 Active uses the new, faster UFS 2.0 flash memory, and neither one can be expanded. The Galaxy S6 Active comes with a 16MP main camera with autofocus, LED flash, real-time HDR, f/1.9 aperture and OIS. It also has a 5MP FFC with wide angle with the f/1.9 aperture and Live HDR for great group selfies and video chats. This compares to a 16MP main camera and an 8MP FFC on the Nubia Z9. The Galaxy S6 Active carries a huge, non-removable 3500mAh battery and should last into a second day of heavy usage. 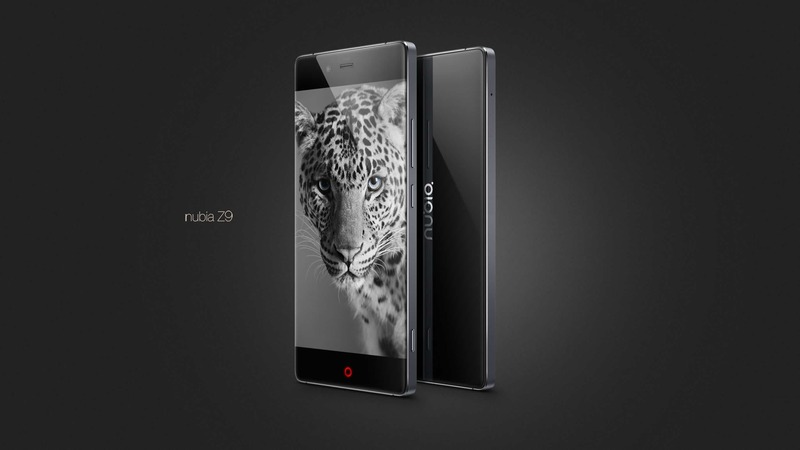 The Nubia Z9 has a smaller non-removable 2900mAh battery, but it too will get you easily through a day. Other things that the Galaxy S6 Active has the Nubia Z9 does not, would be the heart rate sensor, oxygen saturation sensor and built-in wireless charging for both Qi and PMA standards. This AT&T exclusive is priced is the same as the regular Galaxy S6, so if you want this rugged version, it will cost you about $200 on a two-year contract or about $700 off-contract. Because of its looks, features, specifications and pricing, I am choosing the Nubia Z9 as the winner of this comparison. While the Nubia does have the FHD display versus the QHD on the S6 Active, the display on the Nubia Z9 is beautiful. The S6 Active does have the 14nm processor, the DDR4 RAM and the UFS 2.0 internal memory, however, the performance on the Zubia N9 is smooth and fast. Main cameras are close and the Nubia’s 8MP FFC is 3MP larger than the S6 Active and no slouch itself. That being said, the S6 Active does offer water and dust proofing, as well as military specs for some harsh conditions and a camo style backing. Those are great features, if you plan to use them, and should you be a camper, hunter or outdoors person, the S6 Active would be the winner for you. But for the rest of us, the Nubia Z9 is prettier, has strong specifications and will save you over $100 in cost…the choice is up to you. Note: There is a poll embedded within this post, please visit the site to participate in this post's poll. Note: There is a poll embedded within this post, please visit the site to participate in this post's poll. 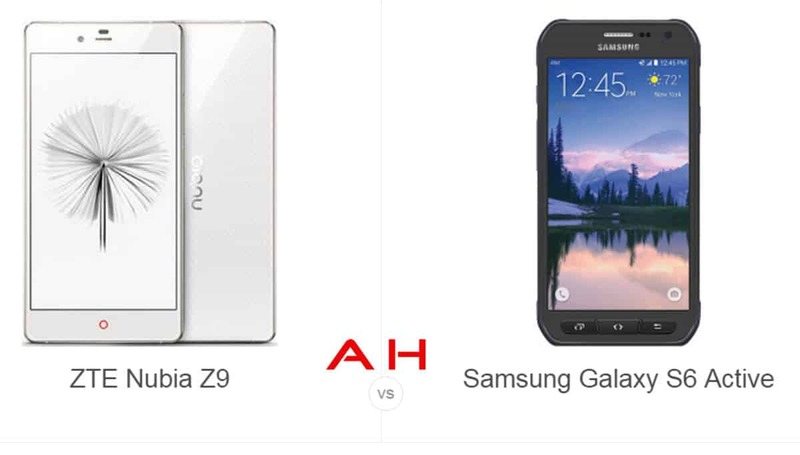 The post Phone Comparisons: ZTE Nubia Z9 (Classic) vs Samsung Galaxy S6 Active appeared first on AndroidHeadlines.com |.